Norwich City striker Carlton Morris has signed a new three-and-a-half-year contract with the Championship side. The 21-year-old is currently out on loan at Rotherham United, for whom he has yet to feature because of a hamstring injury. Morris spent last season with Scottish Premiership club Hamilton Academical, scoring eight goals in 33 games. 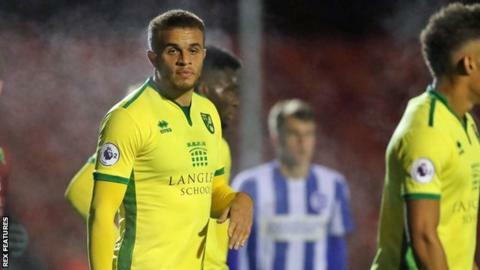 Canaries boss Alex Neil said: "Carlton is a young player who we believe has plenty to offer us in the years ahead."